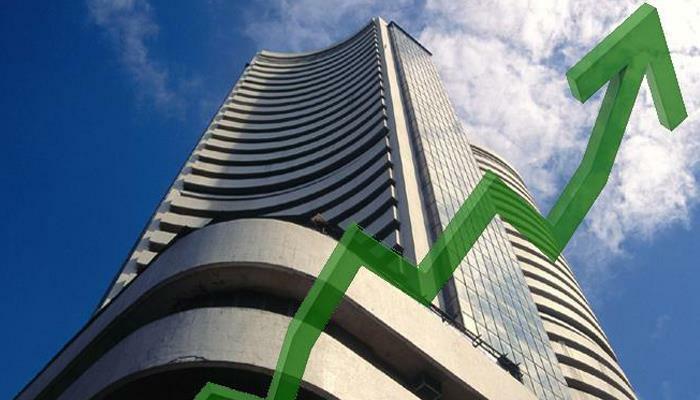 MUMBAI: Rising for the straight fifth session, the benchmark Sensex rallied 250 points after opening on a cautious note Monday, on continued buying in select bluechips by domestic investors amid a positive cues from other Asian bourses. The 30-share BSE index jumped 228.12 points, or 0.63 per cent, to 36,614.73 in early trade. The NSE Nifty, too, rose 53.10 points, or 0.49 per cent, to 10,960.05. Sectoral indices led by healthcare, IT, auto, FMCG, power and oil & gas advanced up to 0.57 per cent. Brokers said, besides sustained buying by domestic investors on encouraging Q3 earnings from bluechip companies, a firming trend at other Asian markets on easing of US-China trade tensions, dovish commentary form the Federal Reserve and efforts in China to support the slowing economy, influenced trading sentiments here. Meanwhile, domestic institutional investors (DIIs) sold shares worth a net of Rs 124.91 crore, while foreign institutional investors (FIIs) offloaded shares to the tune of Rs 97 crore on Friday, as per provisional data. Major gainers included Sun Pharma, RIL, Infosys, Bajaj Finance, Bharti Airtel, Tata Motors, Yes Bank, TCS, HUL, Tata Steel, NTPC, ICICI Bank, HCL Tech, Asian Paint, Vedanta, ITC, M&M, Maruti Suzuki and HDFC Bank, rising up to 3.02 per cent. Among the Asian bourses, Hong Kong's Hang Seng was up 0.19 per cent, Japan's Nikkei rose 0.45 per cent, Taiwan gained 0.74 per cent and Shanghai Composite Index was up 0.68 per cent in late morning trade Monday. The US Dow Jones Industrial Average ended 1.38 per cent higher Friday.